My HDMI Audio doesn't work. There's no sound. How do I fix it? HDMI is the industry standard for high definition video and audio. An HDMI connection bundles audio and video into one signal and can provide your PC or home theater system with the best and easiest audio and visual experience. However, just like any other connection there’s always something to go wrong. Often times connecting an HDMI cable from your Windows PC to a home theater system or television will result in a loss of HDMI audio, even if your HDMI video signal is pristine. There’s a few different reasons for this to happen, but thankfully this problem is easy to troubleshoot. By far the most common cause of this issue is your default playback settings. 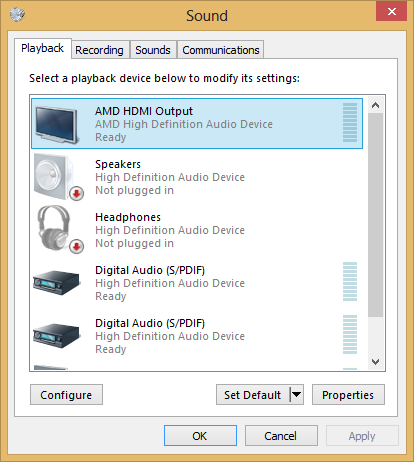 Your Windows PC has several different ways to output audio. Speakers may use a normal audio jack, a USB port, an optical port, or HDMI audio. Unless you have used it previously, rarely will HDMI be selected by default to be your playback device. Thankfully, this is easy to fix on your Windows 7 or Windows 8 PC. To change your default playback device you have two options. The first option is the simplest. The second option is just as simple but requires a few extra steps. It happens to everyone. You try everything to troubleshoot the problem and nothing works. One of the easiest ways to fix this issue to double check everything is connected in the right place. Some PCs have multiple HDMI outputs and many TVs and home theater systems have several HDMI inputs. Double check everything is plugged into the correct slot and your TV or home theater system has the right input selected. If the above solutions don’t work, you may have an issue with a bad or outdated driver. A driver is software for a specific piece of hardware that allows it to work with Windows and the rest of the hardware in your PC. 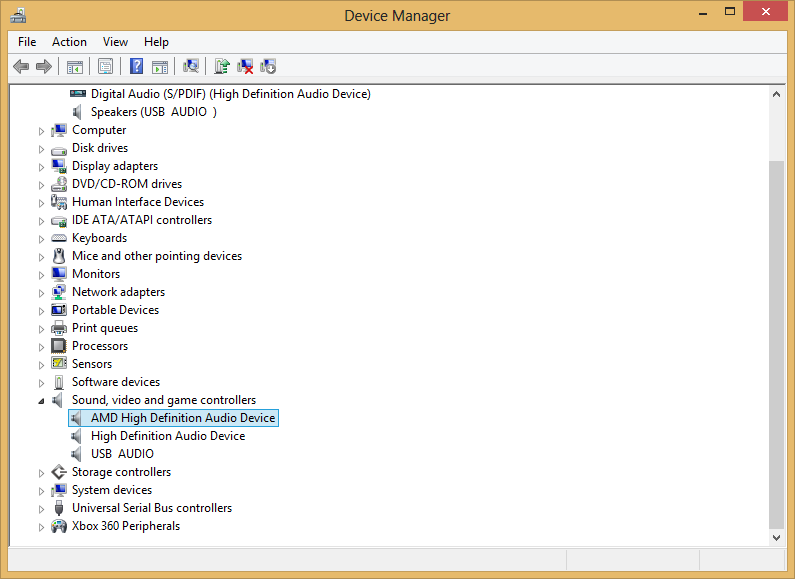 If your driver is defective or outdated, it may be the cause of your missing HDMI audio. To update your drivers, you will need to go back to your Control Panel. Your HDMI driver will typically be named High Definition Audio Device. If you have a graphics card, it may have the name of the graphics card’s manufacturer before it. You can also use our application, Driver Reviver, to speed up this process. It’s especially good with audio drivers.